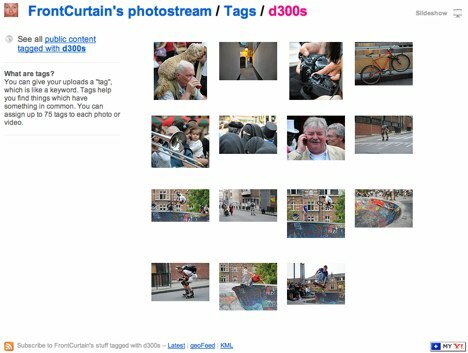 This page is a collection of noteworthy photo samples taken with the Nikon D300S DSLR (digital SLR), image galleries and user pictures that I’ve come across in forums, online communities, blogs and related websites. I’ll also link to examples of footage / movie clips / movies that were shot with the D300S. Bear in mind that the majority of these still photos and videos have been re-sized, and may have gone through post-processing, retouching or other edits. I just thought that it would be interesting to see, at a glance, what Nikon D300S owners and users are shooting with their camera. Roberto, aka “OldPic” shared some portraiture on DPReview, all taken with a Nikon 85mm f/1.4D AF Nikkor lens mounted on the Nikon D300S. Some of the images aren’t available anymore, unfortunately, so here are some links to D300S / Nikkor 85/1.4 portraits from Roberto’s Flickr photostream: 1, 2, 3, 4, 5, 6, 7, 8. The D300S was put in “… Auto ISO setting with a minimum of 1/1000 and Max ISO 3200” for this series of images. SCHMEGGA mounted a Sigma 70-200mm lens on the D300S for this shot (although a replacement Nikon 70-200mm VR II Nikkor is already on order). Nik Software Dfine 2.0 was used for post-processing / editing. See more of SCHMEGGA’s photos on Flickr. Five examples of video clips shot with the D300S, by Kevin Nguyen — Kevin used the Nikon 17-55mm f/2.8 lens to capture the footage. Marbled Godwits and Dowitchers — Jim Fenton shares 6 excellent bird photos in this forum thread. Equipment used was the Nikon D300S, Nikkor 500mm f/4 AF-S VR II Super Telephoto lens, Nikon TC-17E II (1.7x) AF-S Teleconverter and Nikon TC-14E II (1.4x) AF-S Teleconverter. 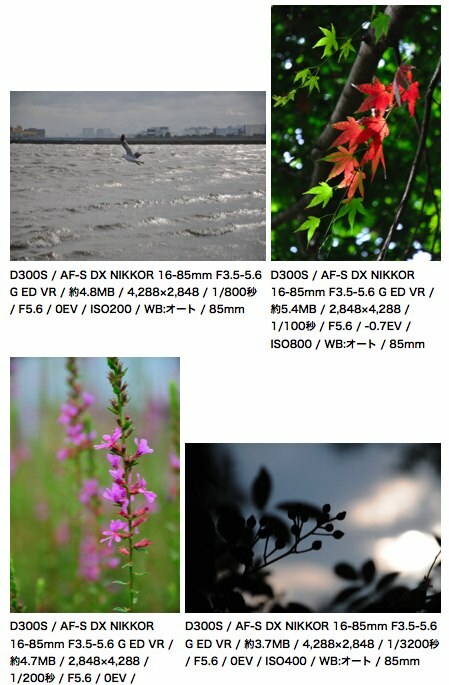 AkihabaraNews has posted a couple of full-sized test sample photos taken with the D300S plus 16-85mm VR lens. These can be found at their Flickr account. Read their D300S review for the links to the test photos. I like the portrait of a little girl. An assortment of photos by ocrampix — Follow the link to some web-sized action images of skateboarding, and a candid or two, taken with the new Nikkor 18-200mm VR II lens. At the time of writing, the photographer did not create a specific gallery of D300S plus 18-200 VR II photos, so I’ve just linked to all the pictures tagged D300S. The related forum thread is here, and this is the ISO 6400 image of a bicycle that was referred to in the post. Last but not least, view and analyze full-resolution Nikon D300S plus Nikkor 16-85mm review sample photos at DC.Watch. Here’s Google’s English translation. Low-light, night photos also test the D300S’ image noise at high-ISO settings.